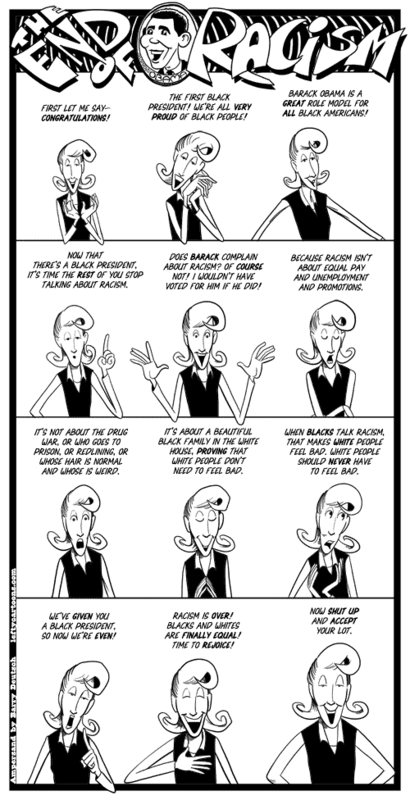 I’m usually thinking about how to get some love for my blog, but I came across this cartoon by Barry Deutsch of leftycartoons.com and it just struck me as how brilliantly he tagged the absolute absurdity of the talk about a “post-racial” America really is. Barry’s cartoons are well-drawn and smartly written. I’m surprised I haven’t seen more of his stuff in print sooner because it’s good stuff. It’s damn sure on-point a lot more than some damn Doonesbury. ← The Hating of the President.